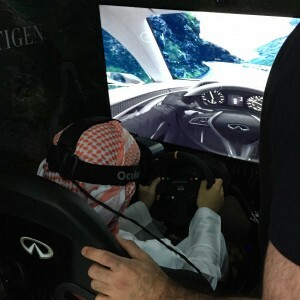 Using the Oculus Rift VR head set, users participate in the ultimate 360˚ drive in the Infiniti Q60. From the sweeping bridges over the Atlantic Ocean Road in Norway, and heart-stopping switchbacks on Italy’s Stelvio Pass, to the colourful Moroccan Gorges du Dadès and Norway’s dramatic Trollstigen mountain pass. To entertain the visitors queuing up for experience, we also added a (not so simple!) function that allowed us to interpret the twin view feed from the Oculus experience, to a single view on surrounding flat screen TVs. 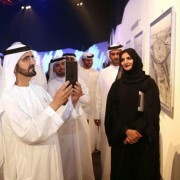 So far it’s proved to be a fabulous success with over 1000 participants in the previous 2 days, and is another poignant example of how brands can use VR to connect with their audiences in emotional and powerful ways. Full case study to come.